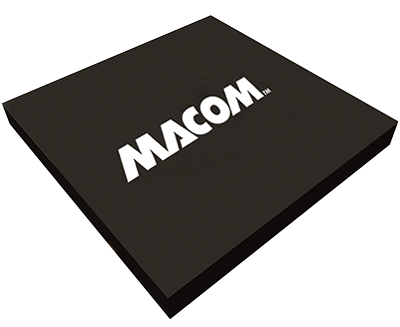 MACOM’s hybrid mixers are widely used in aerospace and defense, wireless, test and measurements applications, and broadband communications applications. We offer a variety of connectorized, flat pack, drop-in, and surface mount packages with a broad range of operating frequency ranges and performance specifications. Our mixer products are available in subsets of the frequency range such as RF and LO: 50 kHz to 24 GHz and IF: DC to 8 GHz. These mixers leverage a variety of technologies such as GaAs pHEMT and Silicon HMIC and are available in double and triple balanced designs. These mixers are hermetically sealed and can also be screened all the way to space level. +260° Reflow Compatible +260°C Reflow Compatible -2.0-1 Typical Midband 1 dB Compression Point: +5 dBm 1.0 to 8.0 GHz 260°C Reflow Compatible 35 dB Typical Midband 50 Ohm Nominal 50 O Nominal 50 Ohms Nominal Available in Surface Mount Available with Field Replaceable Connectors Convenient Microstrip or Stripline Mounting Conversion Loss Flatness: 1.5 dB Typical Conversion Loss: 6 dB Typical Midband Conversion Loss: 6dB Typical Midband Conversion Loss: 7 dB Typical Conversion Loss: 7 dB Typical Midband DC Couple I-Port DC Coupled I-Port DC Coupled IF Port DC to 2.0 GHz DC to 4.0 GHz DC to 500 MHz DC to 800 MHz F DC to 600 MHz F DC to 600 MHz Fully Hermetic Package Hermetically Sealed High High Compression Point High IIP3 (+28 dBm Typical 1-3500 MHz) High IP3: +24 dBm (Typ.) High Intercepet: +22 dBm (Typ.) High Intercepet: +27 dBm (Typ.) High Intercept +18 dBm typical High Intercept +25 dBm typical High Intercept +29 dBm (Typ.) High Intercept Point +18 dBm (Typ.) High Intercept Point +22 dBm (Typ.) High Intercept Point: +18 dBm High Intercept Point: +21 dBm (Typ.) High Intercept Point: +22 dBm (Typ.) High Intercept Point: +24 dBm (Typ.) High Intercept Point: +28.5 dBm (Typ.) High Intercept Point: +30 dBm (Typ.) High Intercept Point: +30 dBm Typ. (Upconv.) +24 dBm Typ. (Downconv.) High Intercept: +23 dBm (Typ.) High Intercept: +28 dBm (Typ.) High Intercept: +18 dBm High Intercept: +18 dBm (Typ.) High Intercept: +19 dBm (Typ.) High Intercept: +20 dBm (Typ.) High Intercept: +22 dBm (Typ.) High Intercept: +25 dBm (Typ.) High Intercept: +27 dBm (Typ.) High Intercept: +29 dBm (Typ.) High Isolation 35 dB (Typ.) High Isolation: 30 dB (Typ.) High Isolation: 35 dB (Typ.) High Isolation: 40 dB (Typ.) High Isolation: 45 dB (Typ.) High Isolation: 45 dBm (Typ.) High Isolation: 50 dB (Typ.) High Isolation: 50 dBm (Typ.) High Level Phase Detector High Third Order: +22 dBm (Typ.) High Third Order: +24 dBm (Typ.) 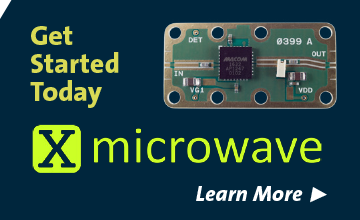 IF 0 TO 2000 MHz IF 0 to 1.5 GHz IF 0 to 1000 MHz IF 0 to 200 MHz IF 0 to 2000 MHz IF 0 to 600 MHz IF 0.001 to 2 GHz IF 0.03 to 4 GHz IF 0.03 to 5 GHz IF 0.03 to 5.0 GHz IF 0.03 tp 5 GHz IF 0.1 to 5 GHz IF 0.1 to 6 GHz IF 1 to 12 GHz IF 1 to 15 GHz IF 1 to 2000 MHz IF 1 to 500 MHz IF 1 to 8 GHz IF 1 to12 GHz IF 1 to15 GHz IF 1.0 to 15 GHz IF 1.0 to15.0 GHz IF 10 to 1000 MHz IF 10 to 2000 MHz IF 2 to 8 GHz IF 50 to 3000 MHz IF DC to 1.0 GHz IF DC to 1.5 GHz IF DC to 1000 MHz IF DC to 1500 MHz IF DC to 2 GHz IF DC to 2.0 GHz IF DC to 2.5 GHz IF DC to 200 MHz IF DC to 2500 MHz IF DC to 3 GHz IF DC to 3000 MHz IF DC to 500 MHz IF DC to 800 MHz IF DC to1500 MHz IF Port Current: 50 mA Max. IF: DC to 2 GHZ IF: DC to 2.0 GHz IF: DC to 4.0 GHz Impedance: 50 Ohms Nominal Insensitive to System Load Mismatch Insensitive to System Mismatch Insensitive to VSWR Mismatch Intermodulation Ratio Insensitive to IF Ports Mismatches Intermodulation Ratio Insensitive to System Mismatches Intermodulation Ratio is Insensitive to Port Mismatches Isolation: 35 dB Typical Midband LO & RF 10 to 2800 MHo LO & RF 2 to 18 GHz LO & RF 2.0 to 18.0 GHz LO & RF: 10 to 1600 MHz LO & RF: 2.0 to 10.0 GHz LO & RF: 2.0 to 16.0 GHz LO 0.4 to 500 MHz LO 0.5 TO 19 GHz LO 0.5 to 19 GHz LO 0.5 to19 GHz LO 1 to 3400 MHz LO 1.8 to 10 GHz LO 1.8 to 10 GHz • LO 10 to 1000 MHz LO 10.0 to 15.0 GHz LO 2 to 18 GHz LO 2 to 24 GHz LO 2 to 26 GHz LO 2 to 6 GHz LO 2.0 to 24 GHz LO 2.0 to 26 GHz LO 2.2 to 8.0 GHz LO 2.5 to 10.5 GHz LO 2.5 to 11.5 GHz LO 2.5 to 7 GHz LO 2.5 to 7.5 GHz LO 2.to 26.0 GHz LO 3.5 to 18 GHz LO 4 to 18 GHz LO 4 to 6 GHz LO 4.5 to 7.0 GHz LO 5 TO 18 GHz • RF 7 TO 18 GHz • IF DC TO 3000 MHz • LO DRIVE: +20 dBm (NOMINAL) • HIGH THIRD-ORDER I.P. +24 dBm (TYP.) LO 5 to 18 GHz LO 7 to17 GHz LO 7.0 to 15.0 GHz LO 800 to 3500 MHz LO DC to 2.0 GHz LO Drive +9 dBm (Nominal) LO and RF: 1.8 to 6.2 GHz LO-RF Isolation: 35 dB Typical Midband LO-RF/LO-IF Isolation: 40 dB Typical Midband LO/RF Isolation: 40 dB Typical Midband LO/RF Isolation:40 dB Typical Midband Lo 50 to 5000 MHz Lo & RF: 0.5 to 500 MHz Lo & RF: 10 to 1500 MHz Lo & RF: 10 to 1600 MHz Lo & RF: 10 to 2800 MHz Lo & RF: 10.0 to 15.0 GHz Lo & RF: 2.0 to 10.0 GHz Lo & RF: 4.0 to 20.0 GHz Lo & Rf: 50 to 4800 MHz Lo 0.001 to 3.4 GHz Lo 0.05 to 200 MHz Lo 0.05 to 200 MHz Lo 1 to 3400 MHz Lo 10 to 1000 MHz Lo 10 to 1500 MHz Lo 10 to 1600 MHz Lo 10 to 2400 MHz Lo 10 to1500 MHz Lo 10.0 to 15.0 GHz Lo 2 TO 18 GHz Lo 2 to 18 GHz Lo 2 to 24 GHz Lo 2 to 26 GHz Lo 2 to 6 GHz Lo 2.0 to 26 GHz Lo 2.2 to 8.0 GHz Lo 2.5 to 10.5 GHz Lo 2.5 to 11.5 GHz Lo 2.5 to 7 GHz Lo 2.5 to 7.5 GHz Lo 2.5 to7.5 GHz Lo 3.4 to 4.7 GHz Lo 3.5 to 18 GH Lo 3.5 to 18 GHz Lo 4 to 18 GHz Lo 4.5 to 7.0 GHz Lo 5 to 18 GHz Lo 5 to 500 MHz Lo 5 to 750 MHz Lo 50 to 4800 MHz Lo 50 to 5000 MHz Lo 7 to 15 GHz Lo 800 to 3500 MHz Lo Drive +23 dBm (nominal) Lo Drive +7 dBm (nominal) Lo Drive+7 dBm (Nominal) Lo Drive: +10 dBm (Nominal) Lo Drive: +17 dBm (Nominal) Lo Drive: +10 dBm (Nominal) Lo Drive: +13 dBm (Nominal) Lo Drive: +17 dBm (Nominal) Lo Drive: +20 dBm (Nominal) Lo Drive: +21 dBm (Nominal) Lo Drive: +23 dBm (Nominal) Lo Drive: +7 dBm (Nominal) Lo Drive: +9 dBm (Nominal) Lo Drive:+10 dBm (Nominal) Lo Drive:+17 dBm (nominal) Lo Power: +24 dBm Max Lo Power: +24 dBm Max. Lo-RF Isolation: 35 dB Typical Midband Lo-RF/LO-IF Isolation: 40 dB Typical Midband Low Conversion Loss Low Conversion Loss: -6 dB Low Conversion Loss: 7 dB Low Cost Low Drive: +10 dBm (Nominal) Low Noise Figure Low Noise Figure: 5.5 dB (Typ.) Low Noise Figure: 5.8 dB (Typ.) Low Noise Figure: 6.0 dB (Typ.) Low Noise Figure: 6.5 dB (Typ.) Low Noise Figure: < 6.0 dB (Typ.) Low Power: +24 dBm Max. Low VSWR Low VSWR: < 2.0:1 (Typ.) MIL-STD Screening Available MIL-STD-883 Screening Available Maximum Input Power: 300 mW Max, Derated to 85°C @ 3.2 mW/°C Maximum Input Power: 300 mW Max, Derated to 85°C @ 3.2 mW/°C n X Port Current: 50 mA Max. Maximum Input Power: 300 mW max. @ 25°C, Derated linearly to 85°C @ 3.2 mW/°C Maximum Input Power: 350 mW Max @ 25°C, Derated to 85°C @ 3.2 mW/°C Maximum Input Power: 350 mW Max @ 25°C, Derated to 85°C @ 3.2 mW/°C n LO Power: +24 dBm Max. Maximum Input Power: 350 mW Max @ 25°C, Derated to 85°C @ 3.5 mW/°C Maximum Input Power: 350 mW max. @ 25°C, Derated 3.5 mW/°C Maximum Input Power: 400 mW Max, Derated to 85°C @ 3.2 mW/°C Maximum Input Power: 400 mW max. @ 25°C, Derated linearly to 85°C @ 3.2 mW/°C • IF Port Current: 50 mA Max. Maximum Input Power: 600 mW max. @ 25°C, Derated linearly to 85°C @ 3.2 mW/°C Microstrip Interface Miniature Package Operates Over Full PCN/PCS/PHS/MSS Bands Over Two-Decade Frequency Range RF 0.001 to 3.4 GHz RF 0.05 to 200 MHz RF 0.4 to 500 MHz RF 0.5 to 19 GHz RF 1 to 18 GHz RF 1 to 3400 MHz RF 1.8 to 10 GHz RF 10 to 1000 MHz RF 10 to 1500 MHz RF 10 to 2400 MHz RF 10 to1000 MHz RF 10.0 to 15.0 GHz RF 1000 to 2200 MHz RF 2 to 18 GHz RF 2 to 18 GHz L RF 2 to 24 GHz RF 2 to 26 GHz RF 2 to 8 GHz RF 2 to18 GHz RF 2.0 t0 24 GHz RF 2.0 to 24 GHz RF 2.0 to 26 GHz RF 2.0 to 26.0 GHz RF 2.4 to 6 GHz RF 2.5 to 5.5 GHz RF 2.5 to 6.5 GHz RF 3.4 to 4.7 GHz RF 3.4 to 7.0 GHz RF 3.7 to 4.2 GHz RF 4.5 to 9.5 GHz RF 4.5 to 7.0 GHz RF 4.5 to 8.5 GHz RF 4.5 to 9.5 GHz RF 5 to 500 MHz RF 50 to 4800 MHz RF 50 to 5000 MHz RF 6 to 14 GHz RF 6 to 18 GHz RF 6 to18 GHz RF 7 TO 18 GHz RF 7 to 18 GHz RF 8 to 12.5 GHz RF 8.0 to 12.5 GHz RF 800 to 2400 MHz RF 9 to15 GHz RoHS* Compliant Surface Mount Surface mount Third Order Intermodulation Ratio is Insensitive to Port Mismatches Three Decade Coverage Usable to 4 GHz VSWR: <2.0:1 Typical Midband VSWR: Typically Less than 1.5:1 @ Midband Very Small Package Very Wide Bandwidth Wide Bandwidth Wide Bandwith X Port Current: 50 mA Max. Maximum Input Power: 300 mW Max, Derated to 85°C @ 3.2 mW/°C n X Port Current: 50 mA Max. Maximum Input Power: 350 mW Max @ 25°C, Derated to 85°C @ 3.2 mW/°C n LO Power: +24 dBm Max. X Port Current: 50 mA Max. Maximum Input Power: 400 mW max. @ 25°C, Derated linearly to 85°C @ 3.2 mW/°C • IF Port Current: 50 mA Max. CSM2-10 Buy The CSM2-10 is a double balanced mixer, designed for use in the high volume wireless applications. The design utilizes Schottky ring quad diodes and broadband baluns to attain excellent performance. M87C Buy The M87C (M87) connectorized version is a triple balanced mixer, designed for use in military, commercial and test equipment applications. M8THC Buy The M8THC (M8TH) connectorized version is a termination insensitive mixer, designed for use in military, wireless and test equipment applications. MY77C Buy The MY77C (MY77) connectorized version is a double balanced mixer, designed for use in military, commercial and test equipment applications. MY85 Inquire The MY85 is a double balanced mixer, designed for use in military, commercial and test equipment applications.